Tali Alexander fans!!! REJOICE!!! 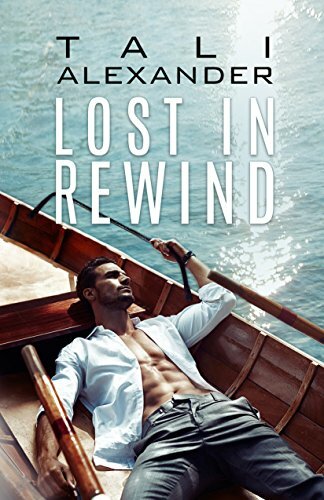 Look what’s coming out in just a couple of months ➜ Lost In Rewind (Audio Fools Book 3). In fact, all romance book lovers (and music lovers) can rejoice, ’cause it reads as a standalone (even if it’s interconnected with the series). The author has just revealed her cover today (OMG it’s GORGEOUS!!!) and has sent over a nice lengthy teaser just for us. “Can I ask you for something?” Her lips trembled as the words left her mouth. She had closed her eyes and smiled—I wished I could’ve made her smile more often. She slowly reached over to her nightstand and pulled out an envelope from the drawer with my full name handwritten on the front. She handed me the envelope, which I’d accepted, and then placed her fingers over my lips to silence me while she spoke. I’d shaken my head and tried to protest, but she pressed her weak fingers to my lips to stop me. I’m in my f**king car, crying and having an emotional breakdown like a lunatic. I open the letter and read it again, reminding myself that she always knew exactly who I was all along. Please don’t be sad that I’m gone, I don’t feel the pain anymore. I want you to know that I’m actually ready for what should’ve been my doomed fate to finally catch up to me. I will never pretend to understand why the universe allowed me to stay here with you and survive for as long as I have, but I did. I survived, and I lived. We thought we would only get a year together but we got over fourteen, and only now I feel as if the final countdown has at last begun. I should’ve been smarter and not dragged you down to hell with me. I clearly recall refusing your ring at first because I didn’t want you to endure this—me, cancer, hospitals, chemo, death. But you didn’t care, you said you loved me and would make me happy. You promised to be by my side every day for the rest of my life, and I wasn’t going to get a better offer than that. I was selfish. I married you even though I knew somewhere in the back of my delusional dying mind that you were and always will be involved with another woman, but I was desperate, defeated and dying, so I chose to pretend. We both did. Thank you for being my selfish escape. I promise you I always knew who lived in your heart. I’ve watched you quietly love someone else for over seventeen years, and yet, I pretended it would go away just like my cancer. If you only allow it, your head can make you believe lies until they stop being lies and start feeling like the truth. I allowed myself to be fooled because when you were with me, she disappeared, and I pretended you only loved me. When you looked at me, it was different than the look you wore when I knew you were daydreaming about her. I pretended she wasn’t real, just an intangible fantasy for you while I was your tangible home. But I always knew you were never really mine. I should’ve stepped aside and left you alone or made you leave me and go to her. I tried to send you away; I gave you the freedom to go to her often, but I just wasn’t convincing enough … because the truth was I couldn’t let you go. I thought that I would unburden you years ago and you could finally stop choosing me. I don’t understand why you chose me and not her for so many years. I know you never got over her, you never moved on, or un-loved her. I think that the years you’ve been apart only made you love her that much more. I don’t know why you stayed with me for this long, but I need for you to believe I don’t feel cheated on; I understand the choices you’ve made and don’t ever think for one second that I didn’t feel loved. Thank you for never abandoning me and helping me fight every step of the way. I may be sick, but I’m not bitter, I swear. I still feel like the luckiest girl in the world for being granted time to see those perfect little humans grow up for the past seven years. When they get older, I hope they won’t hate me for being the reason their real mother and father were kept apart for all these years. You were, and still are, the most magnificent thing I’ve ever known, and the only man to make me feel alive with just a smile. Nothing about you is ordinary; those distinctive dual-colored eyes staring back at me is what I’ll see in my mind as I take my last breath. Most people live a whole lifetime without feeling what I’ve felt in my short life because of you. Don’t let anyone make you feel like a bad guy, they don’t know. Only I know. I understand why you had to be two different people—my Jeff and her Jeffery—in order to survive the nightmare I pulled you into. I was always relieved knowing that you had her as an escape to alleviate the hell we had to live through. It may sound silly but I know you loved us both, and no matter how far away, who she’s with, or how much time goes by, you will never recover from Sara Klein, and if I wanted to be Jacqueline Rossi, I needed to be okay with that. And I was. I never imagined I’d stand in your way of loving her openly for as many years as we’ve been together, because in my wildest dreams, I didn’t imagine I’d survive this long. One year turned into two years and then five and ten. Maybe if I were on my own, I’d have died years ago. I ask myself every day: why am I still here? How did I get so lucky to have him love me and never leave? I sometimes suppose that the only reason I stayed alive and beat cancer for so long was because I was never alone and you were always by my side. Thank you for being my reason to live and the drug that kept me alive. Love in Rewind is in my top 10….top 5….all time favorite books. If you haven’t read it….READ IT NOW!! !